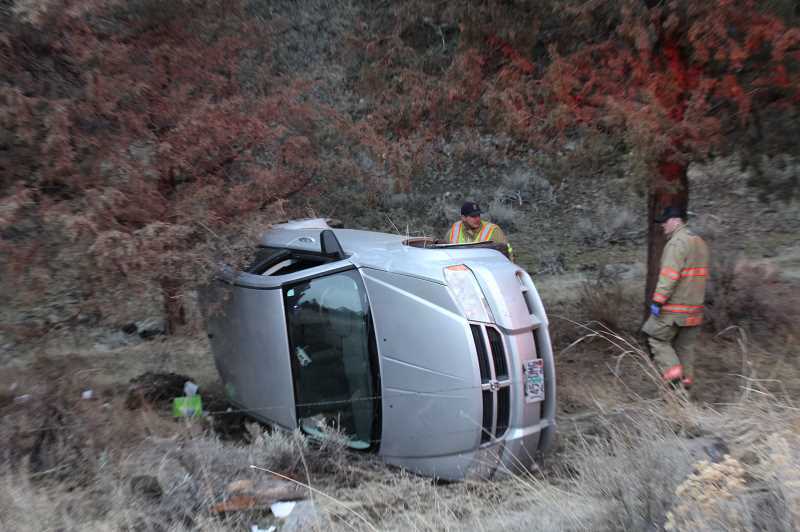 A Culver woman was arrested for driving under the influence following a single-vehicle crash on Juniper Canyon Road Thursday afternoon. According to a Crook County Sheriff's Office report, deputies responded to the crash, reported as a single-vehicle rollover near mile post 3, at around 4:10 p.m. When deputies arrived on scene, they found a silver Dodge SUV on the east side of the roadway on its side. The driver was identified as Jenna Mazour, a 30-year-old woman from Culver. A subsequent investigation revealed that Mazour, the sole occupant of the vehicle, was traveling north at variable rates of speed and lost control of her vehicle. It left the roadway on the east side of the road and went approximately 30 feet before rolling onto its side. Mazour refused medical treatment at the scene but was arrested for driving under the influence of intoxicants and transported to Crook County Jail.